What is Good Branding? | Good. A brand agency. London. Glasgow. I need an angle that isn’t going to bore the pants off everyone. Something simple. Something honest that shows the love. I’ve just been in Portland for a few days, and I’m hopping down to Atlanta for meetings. Anything spring to mind to help the cause? I spent some time at Nike’s Global HQ in Beaverton - they know who they are and what they’re about. Even their car park was on brand! That’s a post for another day. Something smaller maybe, a metaphor for what we feel good branding can achieve? ‘What about the assistant in the Filson shop in the Pearl District?’ Perfect. If you’re going to try to simply define what branding is you should start with what a brand is. It’s often misused and misunderstood. These days, every piece of design you see is labelled as branding, a re-brand, a brand refresh. Companies large and small describe their products and services as brands. It’s all very grand, and it’s usually very wrong. A good brand knows what it is. From day one it's created for a singular purpose, and it never deviates from the North Star of its being. In our wonderful example, Clinton C. Filson wanted to make tough as old boots workwear for the prospectors heading to the gold rush. Boom, Filson was born in Seattle, Washington in 1897 to do just that and only that. A good brand delivers on its promise to its customer. Day in day out. Year after year. Decade after decade. The longer you can deliver on your promise, the more trust you build with your happy customers. The more trust you build, the more your happy customers will tell others about your ‘brand’ of brilliance. And the virtuous circle perpetuates growth and greatness. Hopefully! To this day, that’s what Filson does. We don’t have enough prospectors anymore to sustain the brand, but we do have men and women in the USA and throughout the world who demand tough as old boots clothing, made from traditional materials and built to last a lifetime in the outdoors. Whether working or playing. 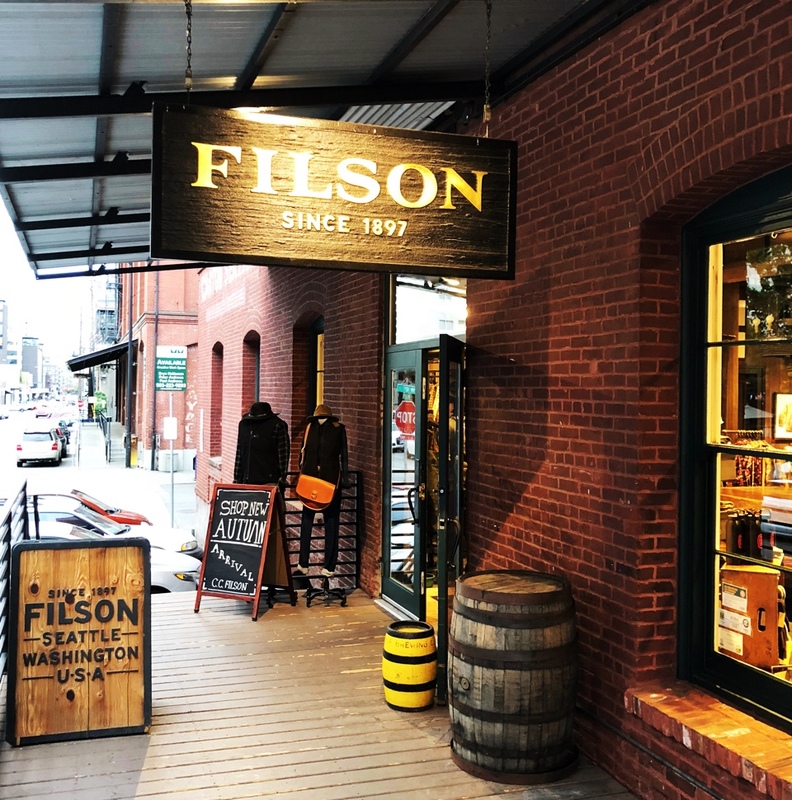 Filson has maintained their promise to their customers for over 100 years. Built to last or your money back. If damaged and you still love it, we’ll fix it and get it back to you. Two simple directives for a good brand. Know who and what you are. Deliver on that promise. Always and forever. Now, if you work hard enough and if you do it for long enough, you’re going to build a brand. And as it grows you’re going to start talking to more an more people, and you’re going to need more and more staff to help you keep up with demand. You can't personally talk to each and every one of them to give them your insight, vision and ethos. Why you’re doing it. Your promise to them. This is where branding comes in. Branding is simply manifesting your reason for being and your promise to your customers into an easily understandable and memorable identity. Words, pictures and materials that honestly represent your personality, so you can really ‘engage’ with potential new customers and loyal old customers who unfortunately you’ll never meet in person. Which brings me neatly to our young assistant in our wee Portland Filson store, and the very definition of the power of good branding. Let’s get the basics out of the way first. The quality and relevance of the location. The close proximity of a broad cross-section of their target audience. Signage, fixtures, fittings, materials and graphics, all well executed, bang on brand and consistent with on and offline communications. We’re getting it! But here’s the clincher. The human factor. A young assistant, in the latest of many Filson outposts, could easily be overlooked or left to her own devices. Not here. Welcoming and knowledgeable she unprompted tells us in a sentence what the brand is all about. It’s her words not a script, and it’s simple, engaging, memorable and informative. Not only that but she illustrated her simple story with an undeniable proof point. A Lineman’s jacket, worn every day for 25 years. A thing of humanly destroyed beauty and the nail in the coffin of my bank balance. I really need a Waxed Tin Cloth Cruiser jacket. It costs a bomb, but hey, it's going to last me a lifetime! Good branding is simple and direct enough to reach, convert and nurture advocates. Both internal and external, far and wide, from inception to death. Sounds easy. It isn’t. In an ever more complicated, fast moving and saturated world, standing for something and clearly getting that simple message to the people who care is getting ever more challenging.